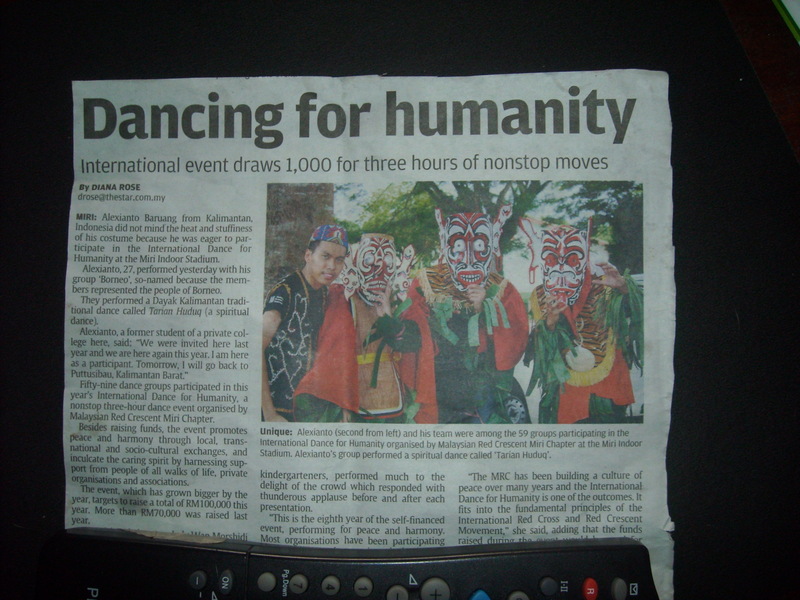 Anak Borneo made an appearance at the annual Miri Red Crescent Dance for Humanity 2011. They brought a Bahau (of Kalimantan) dance, the Tarian Hudoq. The Hudoq dance is also practiced in Sarawak by the Dayaks, but not as widely or as intricate as the Kalimantanese. Hudoq means ‘mask’. It represents the spirits or gods of old that came down to the world in the form of animals like birds, pigs, crocodiles or wolves. The dance is for the paddy planting ritual or for scaring and entertaining kids. The dancer’s body is covered with banana leaves, or sometimes coconut husk or mats. ← I am HARAM, is it?